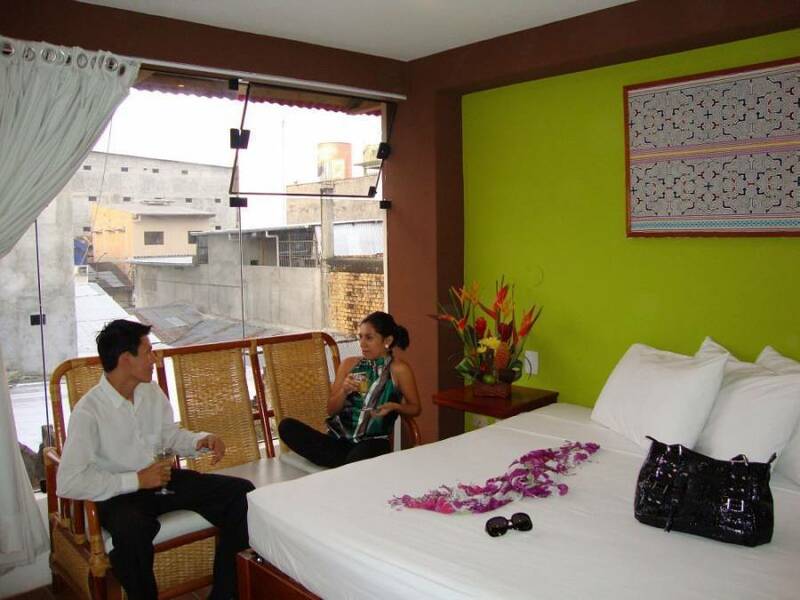 We are located in central Iquitos, close to the tourist, commercial, financial and entertainment district. Nearby 28 de Julio square. Amazon Apart Hotel offers 50 Suites & New fully equipped, one and two bedrooms Apartments, with all the modern comforts you may need for your Business or Tourism trip. We have a refreshing outdoor Swimming pool and a Terrace plenty of sunshine. 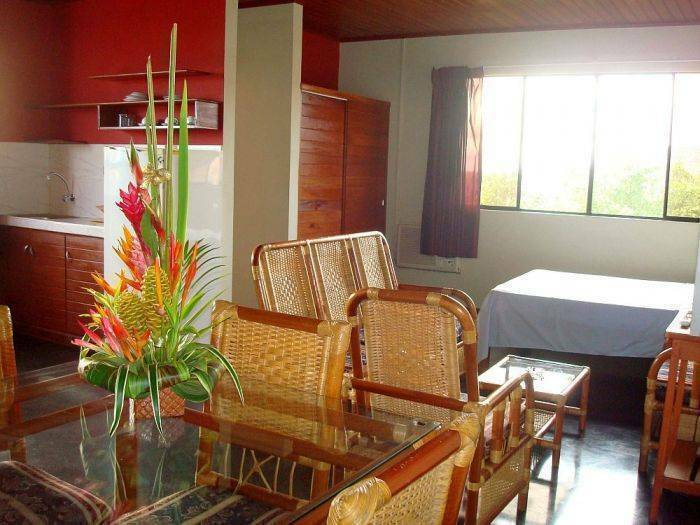 Is included internet Wi-Fi, buffet breakfast, fitness facilities, airport shuttle available 24 hours and taxes. 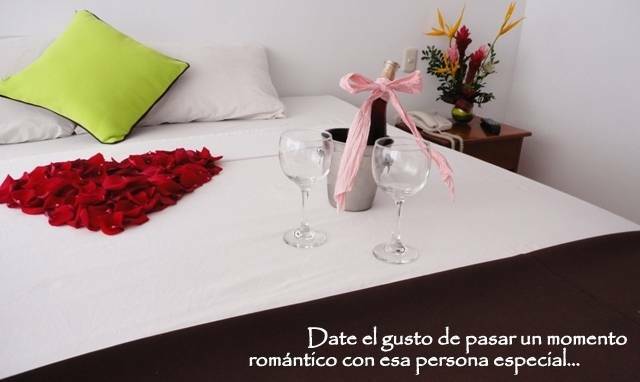 We are a pleasant hotel, with well-equipped rooms, a personal touch and friendly multilingual staff. We provide also complete Tours Information. (We also have an Amazonia - Art Exhibition around the whole of the hotel and suites.) 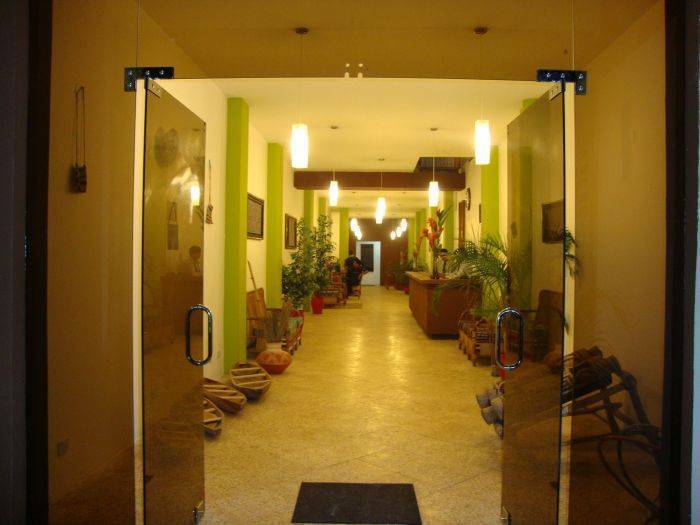 Our hotel is decorated, internally, with Amazonia art and paintings of local artists. Laundry, 24 hours reception, Luggage storage, Children friendly, BBQ area, Airport Pickup, Wi-Fi in room, Fitness facilities, Discotec entrances , Wi-Fi in lobby, Web access in lobby. We also have Tours Information. Our hotel has a good restaurant with a welcoming dining room that serves delicious menus for breakfast, lunch and dinner. Amazon Apart Hotel in Iquitos was recognized with the red and white ribbon 2008 and 2009 given by the POP (public Peruvian opinion). In merits of its leadership and excellence since it was preferred by travel agencies, institutions, tourists and frequent travelers. Iquitos is the most important city in the Peruvian Amazon forest, perfect for all those who love the ecological tourism, and for the ones who want to feel an intimate contact with the virgin nature of the Amazon forest. 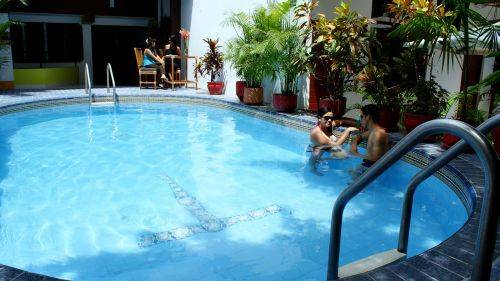 Iquitos has several inexpensive options for you. Adventure tourism, luxury lodges and eco lodges, Ayahuasca tour, visit Pacaya Samiria Reserve, the village of the Boras Indians, wild animals, the Amazon river, city tour, taste exotic drinks and food, the Belen neighborhood which is a floating market almost as interesting as the jungle itself because it’s the center of an incredible variety of Amazon products, like: exotic tropical fruits, food and aphrodisiac drinks, fishes, turtles, birds, frogs and herbal medicines. Iquitos is located about 1. 30 hours from Lima by airplane or 3 days by boat from Pucallpa. We can liaise you with the best local travel agencies to help improve your touristic experiences. You can make your hotel reservation with low price here. The Suites are decorated in a typical and modern Amazonian style and well – equipped with King size bed, air conditioning, minibar, Cable TV. 21-inch flat, hot water, telephone and closet. The Apartments has living room, dining room, closet, Kitchenette, refrigerators, dishes, utensils, amenities available on request include microwaves, stovetops, cookware, and kitchen linens. 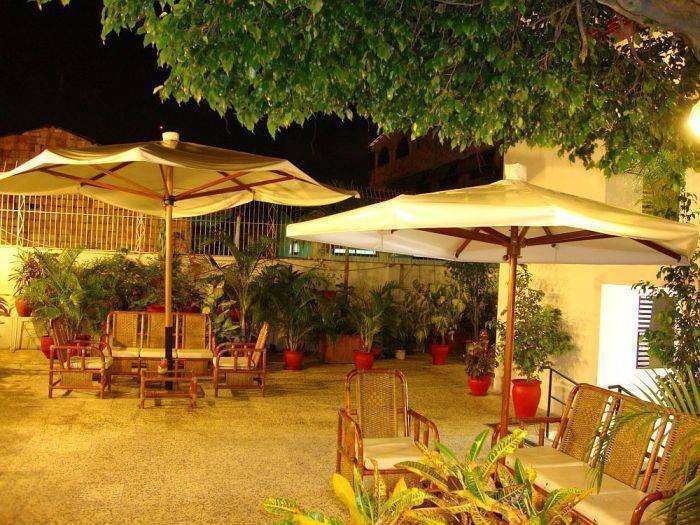 Cancellation with 5 days or less of notification will result in a charge of 1 nights room. In the case of a no show, we will cover 1 nights room payment.